If you’re reading this then that means the move to a new server has been successful! For the past 7 years this blog has been the website I’ve ran for consolidating my public online presence, with the hope that it might be entertaining for some. I have received a few donations over the years to keep this website online, but for the most part I have been paying for this site out of my own pocket. In an effort to eliminate excessive bills (money’s tight, yo!) I need to keep the costs of this website down, so I canceled my overpriced 1&1 hosting plan. I planned on bringing the site back online to a different web host in a few months when I have some extra cash, but within hours of it going offline I started missing it really bad. I felt an almost instant depression to see something that I have kept online for so long fade away so quickly. 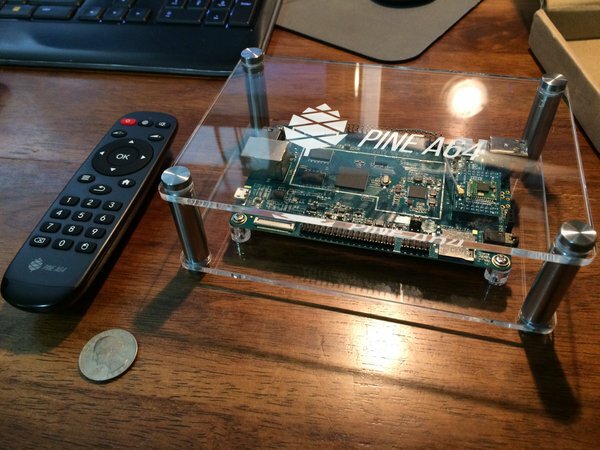 I had an extra Pine 64 Single Board Computer laying around, unused, so I decided to finally put it to use and got a web server with WordPress running on it. Thankfully I made backups of all my old databases and stuff from my old hosting plan, so I moved it to my new server and got it running once again. There are a few broken links and hiccups here and there, most of which are not a big deal, except that since I am running this server from a network in my home I have a dynamic IP address, which means hosting a web server isn’t as easy as it could be with a static IP. To overcome this I am using the duckdns dynamic to static service, along with CNAME records to point my site to that service. Unfortunately it is my understanding that CNAME records do not allow you to move traffic from a base domain name but only work with subdomains. If this doesn’t make sense to you, that’s fine, just know that to access this site, for now, you need to enter www.killgruz.com as just entering killgruz.com will not work. This will be fixed in the future. If you find any errors or dead links please send me an email using the contact link at the top of the page. Looking at the server makes it feel so personal. The RSS feed is working fine, for what it is worth! Looking forward to more goodness, cheers, sir!